I was 22 years old, wearing a white lab coat in Colombo, Sri Lanka, with an acupuncture needle in my hand, I was trying to steady my hand because it was shaking a lot! I was about to stick this needle into a patient’s eye!! Ok, not really their eye, but just below their eye, but above the eye socket bone. You may be asking, Why? Because this was one of the acupuncture points that I had to needle for this patient, who apparently had a tumour in her brain that was putting pressure on one of the nerves in her brain that was affecting her vision. Who told me to use this acupuncture point? It was the great Dr. Anton Jayasuriya, who was by far the greatest and smartest person that I had ever met by that point of my life. I was a second year chiropractic student and had come to Sri Lanka with some fellow classmates to learn acupuncture from this famous Dr., who was a Board Certified Medical Doctor and Rheumatologist as well as a Traditional Chinese Medicine and Acupuncture Master. We would come to his class every morning to learn about acupuncture and in the afternoon, we gained experience treating patients in his clinic. And there was no shortage of patients! They were lining up to see him from the early morning until late at night and they would come from all parts of the country! It was an amazing experience! The reason I tell this story is that there is one thing he said to us while we were learning there that I still remember today. During one of our classes, we asked him to predict the future of medicine and to guide us by telling us what to focus on in terms of patient care. He said the next major shift in medicine would be towards something called “Environmental Medicine”. We all looked at each other and wondered what he meant. He explained that the world today (and this was back in 1994) was full of toxic chemicals and pollution and that it would cause an epidemic of health problems and diseases that would be impossible to treat. Since then I have thought about what this great man said and looked at my own life to see how I could eliminate toxins. • I changed my toothpaste to a natural one without fluoride • I changed my under arm deodorant to one without aluminum (and yes, I still smell ok!) • my family and I invested in a home water filtration system that helps to remove chlorine from the water (it’s been found that we can absorb a lot of chlorine through our skin when we take a shower!!) • we buy organic produce to avoid the harmful pesticides sprayed on our vegetables and fruit • we switched to organic and grass fed meats to avoid meat from animals that eat genetically modified grains that are heavily sprayed with an especially toxic herbicide called Glyphosate as well as to avoid meat from animals that were given hormones and antibiotics during their life. From the book, Detoxify or Die by Sherry A. Rogers, M.D., I read something really scary, it was the results of a research study by the Environmental Working Group that looked at blood taken from the umbilical cord of 10 babies born in the US in 2004 which found 287 industrial chemicals and environmental pollutants including pesticides, mercury, fire retardants, consumer product ingredients, teflon chemicals and waste from burning coal, gasoline and garbage!!! Of the 287 chemicals found, 180 of them have been found to cause cancer in humans or animals!! I thought to myself, if all these chemicals are found in the blood of newborn babies, who knows how many chemicals are found in you and me!! Dr. Rogers also wrote about how industrial smokestacks disseminate into the air chemicals like dioxins and PCBs (the most potent cancer triggers known to man) and then clouds carry these chemicals to every continent and every body of water around the world!! As I think back to my time in Sri Lanka, treating that woman with cancer and remembering what Dr. Anton said about “Environmental Medicine”, I can’t help but think he had a magical crystal ball because we are living in a world where diseases like Cancer are so prevalent and even childhood cancers are at an all- time high as it is the number one cause of death by disease in kids ages 1-15!! 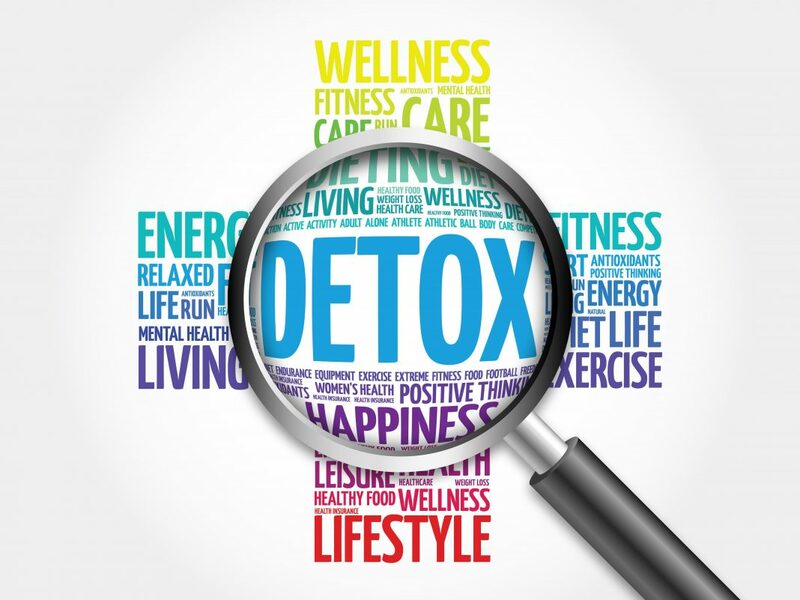 So as a Chiropractor, you may ask, why do I talk about toxins and the need to detoxify? 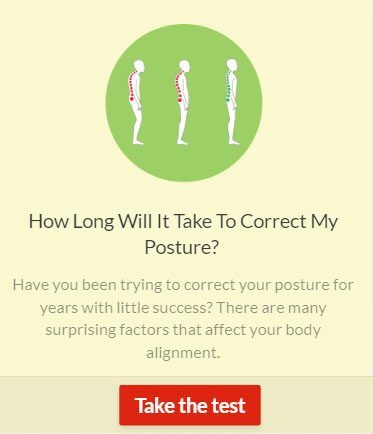 Well if you look back to the founders of our profession over a 100 years ago, they discussed the concept of removing subluxations from the spine so the body can get well. They also discussed 3 causes of subluxation which are emotional thoughts, physical traumas and chemical toxins!! That is amazing that more than 100 years ago they mentioned chemical toxins! So let me ask you, what are you doing to detoxify??? Dr. Samji has been in practice for over 20 years. He completed 2 years of his undergraduate degree at the University of British Columbia, after which, based on his academic performance was bestowed the honor of admission to the prestigious Canadian Memorial Chiropractic College (Canada’s only English speaking Chiropractic college). Dr. Samji is a member in good standing with the B.C. College of Chiropractors which is the sole regulatory authority in British Columbia. Dr. Samji further expanded on his thirst for knowledge and higher education by immersing himself in a 3-year postgraduate study of the subspecialty of Chiropractic Neurology. Dr. Samji is a Diplomate of the American Chiropractic Neurology Board (www.acnb.org) having studied under Professor Carrick of the Carrick Institute in the USA (www.carrickinstitute.org). The DACNB designation (although not recognized by the B.C. College of Chiropractors) earned by Dr. Samji, is one he shares with only 600 professionals worldwide. Dr. Samji has also undergone extensive training for the treatment of children and expecting mothers (www.ICPA.com) and can skillfully adjust the spine with his hands or gently with the use of an instrument. Dr. Samji’s office is conveniently located on the northwest corner of East Broadway and Commercial Drive. His clinic offers Chiropractic, Physiotherapy, Registered Massage Therapy, Acupuncture, and also has a Pain Medicine Specialist M.D. 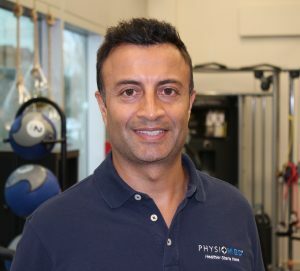 When not at the clinic, Dr. Samji can be found spending quality time with his wife and young son, and of course the 2 dogs, or playing soccer in North Vancouver’s Men’s League or practicing Yoga.